Ford, of course, was a member of the Warren Commission and ultimately became president as a reward for his participation in the cover up of the assassination of John F. Kennedy. The same networks that killed Kennedy are the same networks that engineered 9/11. Good riddance Jerry. And take Arlen Specter with you. 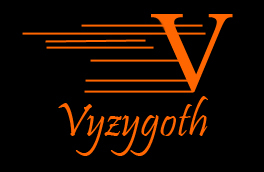 UTICANS FOR 9/11 TRUTH ON VYZYGOTH TODAY!! Herb Smith and I appeared on Vyzygoth's excellent FROM THE GRASSY KNOLL today--which I blockheadedly forgot to announce in advance. (And I'm usually so good about these things!) Anyhow, the show is now archived, and may be downloaded at this link. In our view, the 9/11 Truth effort has been tainted by the skirmishing between groups and sub-groups in what must be called, for the want of a better term, the 9/11 Truth "community." This infighting stems largely from the differences of opinion concerning the methodology of the destruction of the WTC towers and the attack on the Pentagon. Those who believe that no planes were actually flown into buildings tear at the throats of those who insist that some sort of aircraft were in evidence--and vice versa. The space-beam and the mini-nuke contingents cast aspersions on the intelligence and qualifications of the proponents of conventional explosives--and the "compliments" are quickly returned. The Uticans for 9/11 Truth feel that this is all beside the point. Yes, we've had some amusement at the expense of the more imaginative theorists, but it is laughter that is not unmixed with pain. These speculations--and the controversies--do not belong as prominent items on any serious website. The main objective of the 9/11 Truth effort must be first and foremost to prove that the Official Story (as propounded by the 9/11 Commission Report, the NIST report, and FEMA) is impossible. We maintain that this story was a cover-up from the beginning, and is inconsistent with the laws of physics and the dictates of logic--and is directly contradictory to the eyewitness reports actually broadcast on September 11, 2001, and the recollections of those who were there that day. This demands that, as grassroots activists, we rely on our own investigations and interpretations of the data available. Above all, we must think for ourselves and trust our own conclusions. The 9/11 Truth "movement" has been degenerating into a cult of personality, whereby those credentialed or otherwise celebrated have been allowed to dictate the main currents of investigation and theorizing. Many of the researches done by certain past and present members of the Scholars for 9/11 Truth have validity, and the work done by Dr. Steven E. Jones in particular seems reliable. That being said, Dr. Jones' conclusions are not exempt from the same critical view which we focus upon all possible theories regarding the towers' collapse. Initially, the Uticans for 9/11 Truth deemed the creation of the Scholars a boon to 9/11 Truth, and a passport into the realm of major media. What we had not envisioned was the power struggles that would ensue within the organization, erupting in insults and worse. The baleful influence of Wood and Reynolds, the uneven media performances (and ultimate perfidy) of Fetzer soured us on the group, and caused us to rethink our dedication to the "Scholarly" model of 9/11 activism. Fetzer's sanguine acceptance of the Wood/Reynolds "Star Wars" theory and his subsequent ouster of Jones as co-chair signaled the Twilight of the Gods at ST911.org. There is no room for elitism in this effort--especially elitism practiced by those who have demonstrated how utterly human they are. Our new resolve is to take the 9/11 Truth effort back to the grassroots--where it can flourish without intellectual bullies and self-proclaimed "experts." We must get back to basics, and examine our assumptions on a daily basis. We know in our non-credentialed guts that what occurred on September 11, 2001 could not possibly have happened the way the government and its media puppets said it did. We must unite and demonstrate that basic fact to anyone who will listen--and leave the more arcane theories of how it happened in the chat rooms and emails between concerned parties. Finally, none of us wishes to spend the rest of his life flogging 9/11 Truth. Each of us has other things to do that are more enjoyable or more imperative to us personally than endlessly shouting the facts of WTC 7 into the wax-clogged ears of our neighbors. There are those who will not listen, who will never listen--because it does not mesh with their rudimentary view of reality. Others will begin to "get it," and carry the message on. As they increasingly do so, we should ease up our own efforts. 9/11 Truth should be a cottage industry for no one. Our great hope is to be able to abandon it entirely one day. Lenny Bruce had a great line in his classic "Thank You, Masked Man" routine: "Without Polio, Salk is a putz." Without 9/11 Truth, we'll still be Uticans--which is just fine with us. Back to basics: if there were explosions in the WTC that day, the Official Version cannot be true. This is for Judy Wood, since she seems not to have seen it.